The Greater Carlisle Project has built a broad and cohesive vision for what it means to be a sustainable, livable community. The group’s consensus building process to generate this vision has fostered greater local pride and engagement in preserving and improving upon our communities’ most valuable assets. The GCP’s vision and actions have incorporated social, economic and environmental goals to improve quality of life and build a more vibrant community. The geographic scope of the project includes the many townships and municipalities surrounding Carlisle. The Greater Carlisle Project’s webpage and listserv keep community members informed about ongoing GCP activities and community opportunities. The contact list includes over 300 community leaders and members. GCP’s Interactive Map displays the interest areas of participating GCP members. Membership is open and ongoing efforts have been made to recruit new members. As of December 2015, GCP has 40 institutional members and 71 individual community members that have endorsed the vision and mission of GCP. The Greater Carlisle Project has used a variety of methods to engage local residents in voicing community needs and playing active roles in shaping the future of our community. Annual GCP Membership Meetings: GCP has hosted annual meetings that are open to the entire community. The Sentinel has announced these meetings and encouraged broad participation. At the “Carlisle on the Move!” meeting in October 2015, the focus was on learning about and celebrating the positive things that are happening in Greater Carlisle. More than 60 community members joined us to share their thoughts about what excites and worries them about our community, and to voice ideas about what we should be working on together. 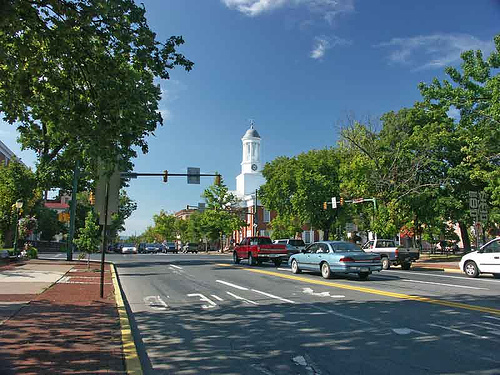 Carlisle Borough’s Planning Process: In November 2015, GCP hosted a special meeting for all interested members and community residents to learn about and engage in the Borough of Carlisle’s 2015 Comprehensive Planning process. More than 50 people attended the meeting and shared feedback about Carlisle’s most important issues. 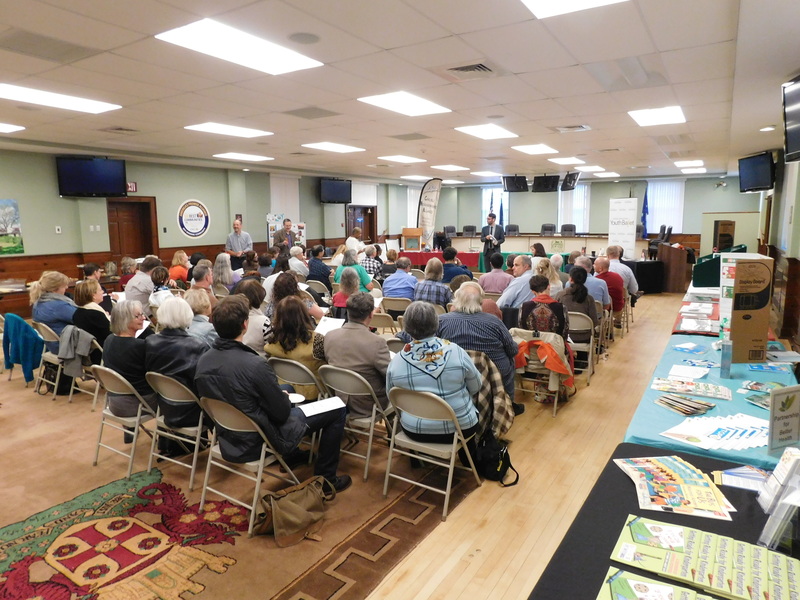 Community Forum on Ending Poverty: In February of 2015, GCP hosted a community forum on ending poverty that was attended by more than 150 community residents and leaders. Stemming from this effort, a new Neighbor to Neighbor project focused on poverty was formed. Carlisle Urban Redevelopment: The Greater Carlisle Project promoted participation of community members in workshops and meetings that contributed to drafting of the Carlisle Urban Redevelopment Plan and continues to be involved in follow-up activities to develop details of the plan. Oberlin Project: Early on in GCP’s vision building process, more than 65 community members and leaders came together to learn about Dr. David Orr’s work to develop the Oberlin Project in Ohio. It served as a model for us in creating a unified community vision and bringing diverse community members together in a shared planning/action process. Mount Holly Springs Community Walking Audit: The Greater Carlisle Project assisted residents of Mt Holly Springs in planning a community walking audit in April 2013 in which over 20 local residents came together to address community issues together. LOCALTUNITY: The Greater Carlisle Project has worked to promote LOCALTUNITY, an initiative of Dickinson College and Farmers on the Square, to other employers in the area. Participating employers provide incentives for their employees to shop locally at Farmers on the Square and to prepare and share sustainable meals together. Listening Workshop: In 2014, the Greater Carlisle Project and Dickinson College sponsored a workshop for community members and GCP leaders on Active Listening. Twenty-five community members attended the workshop to learn how to listen consciously and effectively. The Future of Housing: In 2014, Sue Cosentini, of New Earth Living, a builder/developer of co-housing and energy efficient housing in Ithaca, New York gave a community talk. This was cosponsored by Dickinson College and the Greater Carlisle Project. Dickinson Builds Sustainable Communities: Dickinson students conducted research projects to benefit community partners, as part of a Building Sustainable Communities course that was offered in Fall 2013. Big Summer Youth Programs List & Scholarships: Recognizing that summer is a critical time for all young people to learn, grow and explore new challenges, the Greater Carlisle Project inspired the creation of an annual “Big Summer Youth Programs List” of more than 30 summer camps and youth activities in our region. In 2016, the Partnership for Better Health raised more than $30,000 in scholarship funds and anticipates sending nearly 200 young people to camp with these funds. Thanks to Giant, M & T Bank, McDonalds, Hoffman Funeral Home and individual donors for supporting Make It a Healthy Summer! scholarships. Scholarships are offered to qualifying low-income youth through Hope Station in Carlisle, New Life Community Church serving Mount Holly Springs, the Shippensburg Community Resource Coalition, Collaborating for Youth in Adams County and the CASSP program, serving schools in Perry County. Neighbor to Neighbor: Five local groups (United Way, Bosler, Rotary, Tri-County Community Action and Dickinson faculty) have teamed up to learn about and better address the issue of poverty in our region. This new group’s mission is to grow relationships that inspire neighbors to identify, strengthen and use community resources to significantly reduce poverty. Initial activities feature community focus groups and targeted surveys. This research will directly inform the creation of local action teams. 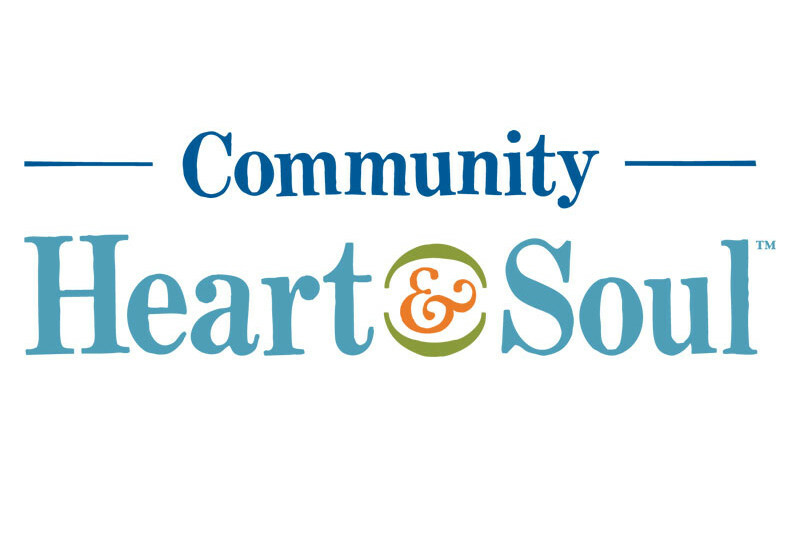 Community Heart & Soul: GCP was awarded a $50,000 grant from the Pennsylvania Humanities Council to launch a Heart & Soul planning process in 2016. Developed by the Orton Family Foundation, Community Heart & Soul “reconnects people with what they love most about their town and translates those personal and emotional connections into a blueprint that serves as the foundation for future community decisions.” GCP’s goal with the project is to increase participation in local decision making and identify avenues for more people to become involved in shaping the future of our communities. Heberlig-Palmer Park: The Greater Carlisle Project helped to advertise and promote participation in the West Side Neighbors Association’s Spring Spruce Up on March 29, 2014. GCP has been supportive of their successful fundraising activities for the park’s renovation and creation of an edible food forest. The project has formed a productive, cross-sector Steering Committee of local groups that don’t typically work together. The networking, sharing, connections and learning that takes place at regular meetings has been continually valuable. We are working together in new ways around our common interests. 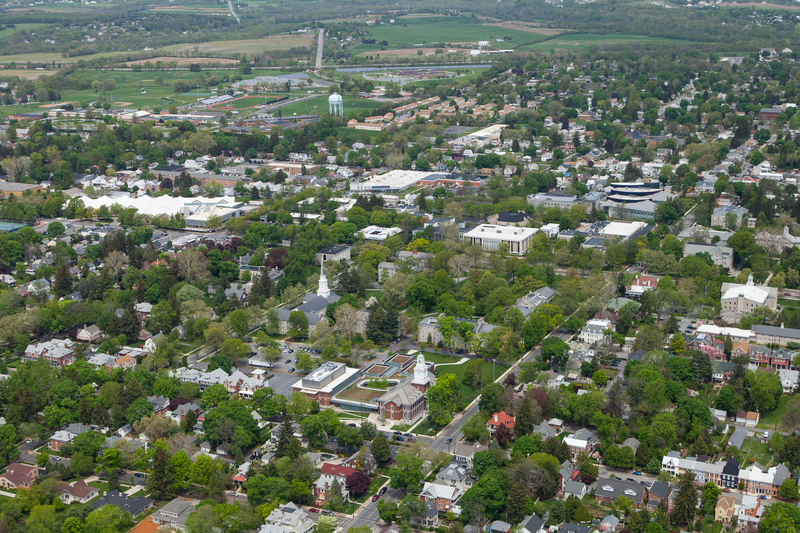 The Greater Carlisle Project has received $50,000 from the Pennsylvania Humanities Council and $10,000 from the South Mountain Partnership to implement the Greater Carlisle Heart & Soul Project—a resident-driven approach to community planning and development.